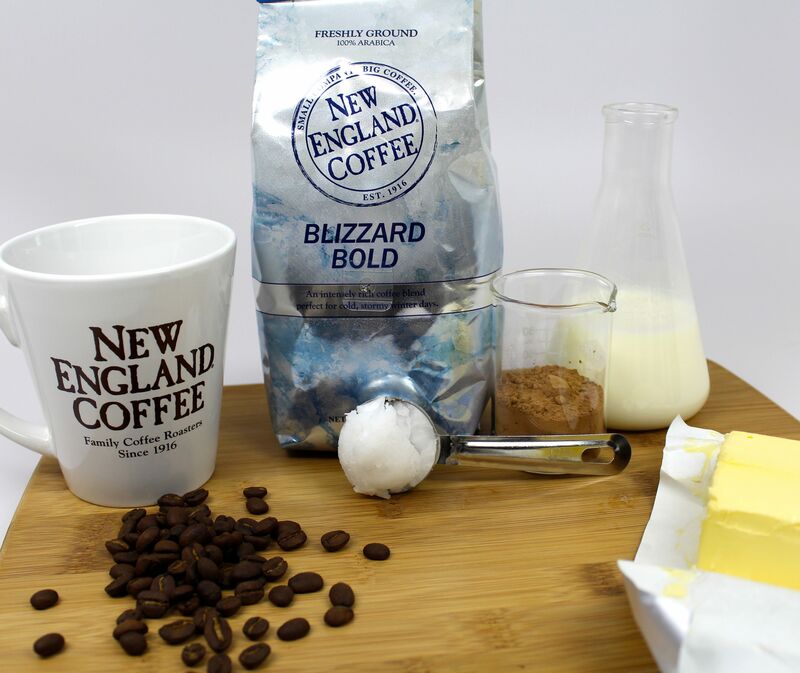 You may have heard of “Buttered coffee” and are wondering what’s behind all the hype. So did we. It’s a new year and the ever-popular resolution of getting in shape and being more conscious of the things we consume is alive and well! Buttered coffee has emerged among the latest lifestyle trends with claims of health benefits without sacrifice of rich flavors.This concoction of coffee, butter and coconut oil boosted our curiosity, so we reached out to fellow coffee enthusiast, Mike Spears, to learn more. 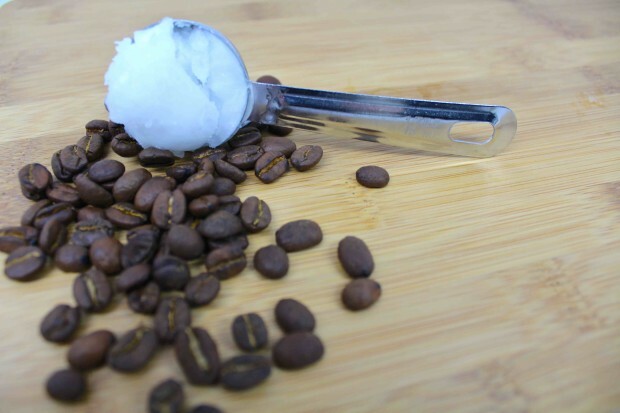 Mike shares his thoughts, a few of his favorite recipes and tells us what it is about buttered coffee that has him hooked. 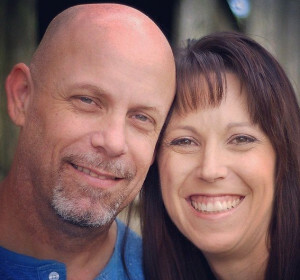 I try to stay healthy by eating right, mostly, and exercising regularly, but at 50, and with two young daughters, I’m not that gym rat I used to be. Still, I want to feel good every day, and starting the day with coffee is essential. I’d been stuck on the same obsession for far too long (quad-grande mocha with no whip) and the “bullet-proof coffee” concept couldn’t have arrived sooner! Just before Christmas, I read an article in Men’s Journal that coined the buttered coffee, “The New Power Breakfast.” I was intrigued, excited, and a little skeptical. Butter in coffee seemed odd. Coconut oil seemed even stranger. I couldn’t imagine drinking coffee with butter and coconut oil. “It could be good, but it could be awful,” I thought. Others were doing it, and loving it, so I concluded, there must be something to it. Right? Absolutely! My first sip was thrilling, unexpected and surprisingly delightful. The flavor was interesting and contrary to what I had imagined…but I loved it. Next, I considered the health benefits. My current obsession was loaded with sugar…definitely not healthy. That AM pick-me-up routinely let me down about an hour later, just about the time I’d get to work. Buttered coffee didn’t include sugar. (No sugar crashes!) Additionally, grass-fed butter offers healthy fats that boost energy, taste better than other butters and helps balance hormone levels. Coconut oil and its unique combination of fatty acids is considered a super-food, and for good reason. Benefits include improved brain function, weight loss and increased energy, all stemming from the MCTs, medium-chain triglycerides, present in coconut oil. Also, an ingredient I’ve added to my own concoction (see below), unsweetened cocoa powder, offers all of the benefits of chocolate without all the calories, including support for your heart, bones and immune system.Wow! Talk about healthy. Not bad for a cup of coffee! The coffee geek inside of me had been activated! I couldn’t get all of gadgets and ingredients together quick enough. It was the Christmas season, so it took me about two weeks to either find or receive shipment of everything I needed. You might think the conclusion, instructions and recipes for buttered coffee would appear about now, but the geek in me was not satisfied with a simple recipe. I had to tinker with the recipe in Men’s Journal, as well as its methods, to put my own stamp on it. I couldn’t help myself. The transition from quad-grande, no-whip mocha to buttered coffee just wasn’t very elegant, and without even the first taste of a buttered coffee, I was already bored. So I took it to the next level. My version would be the buttered mocha, a drink that rises to the ridiculous nature of my coffee obsession! (Take a deep breath Mike!) Its namesake, Mike’s Nuke-Proof Mocha, also rises to the occasion. Below, find three recipes that all feature New England Coffee’s latest blend – Blizzard Bold – including my nuke-proof mocha. All are of the buttered coffee variety and one, I hope, suites your palette. This is the one you grab when you’re late for work, school or to drop off the kids at daycare. It’s simple. Butter doesn’t mix easily with coffee, so use a blender to mix the ingredients. For best results use freshly ground coffee beans, boiling filtered water and unsalted grass-fed butter. This one is quick also, but adds the benefits of coconut oil. This recipe takes the flavor profile to a new level with the addition of the coconut oil. Use a blender to mix the ingredients. For best results use freshly ground coffee beans, boiling filtered water and unsalted grass-fed butter. This one takes time, patience (something I lack) and gadgets. I find it worth every minute, especially since I’m in the habit of making a his-and-hers (one for my lovely wife). You’ll need an espresso machine and thermometer for your frothing pitcher. Add 1-2 tbsp of unsweetened organic cocoa in your favorite (empty) coffee mug, set aside. Prepare a single or double shot of espresso in the portafilter and secure it in the machine. Pour 4-5 oz of cold milk (40 degrees F) into the frothing pitcher. Steam the milk, butter and coconut oil to 160 degrees. This last recipe clearly requires a little expense (espresso machine) and some expertise. I’d never used an espresso machine before making this drink. I simply did some research and found a quality, affordable home espresso machine. I read the instructions and watched a few videos online about making espresso drinks, and my first drink was fantastic. So for those of you who are inclined, maybe a little coffee obsessed, this might be your cue. Could this be the justification for that espresso machine you’ve been wanting? There’s no doubt that buttered coffee offers a new dimension of coffee indulgence. It’s delicious and an interesting new flavor experience. I’ve found that since I’ve been drinking my nuke-proof mocha, I have been experiencing better energy levels, suppressed appetite, sharper mental clarity, and I feel like my metabolism has improved. I’ve taken a holiday break from the gym, so I guess I’ll really have to put Mike’s Nuke-Proof Mocha to the test in the coming weeks. So, there’s simply buttered coffee. 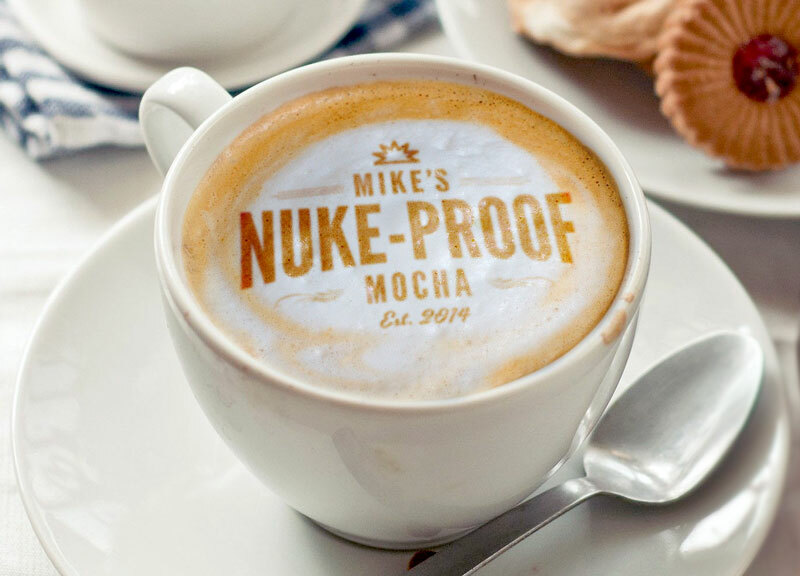 Then, there’s Mike’s Nuke-Proof Mocha. And then…there’s your concoction, whatever you come up with…if you’re the geeky adventurous type. At the heart of it all is coffee, this wonderful, delicious gift from nature. If you love it as much as I do, you’re probably a little like me…always looking for something new and interesting to tickle that coffee fancy. 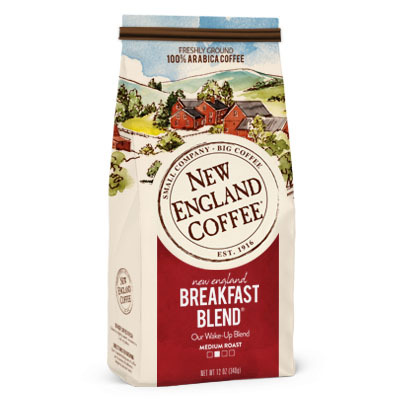 Here at New England Coffee, its no surprise we’re keen on coffee and what our customers love about it. Please share your recipes and concoctions with us and your fellow enthusiasts.